Lyndhurst’s regular musicians entertains our residents. The ethos of Lyndhurst Residential Care Home is to help our residents lead happy, dignified lives and to become and remain as self-reliant and independent as possible within a safe environment. Each of our residents is appointed a key worker on admission. The key worker’s responsibilities include forming a special relationship with the resident, acting as a companion who will help them settle in and find their feet. The key worker will communicate with their assigned resident on each shift attended and offer help with any problems or issues connected with the running of the home. As a care home we place the rights of our residents at the forefront of our philosophy of care. In particular, the home is run as an open and welcoming place to live for people of all backgrounds and walks of life, cultures and faiths, and our staff strive at all times to treat our residents with respect and to preserve the dignity and privacy of our residents. The home believes that privacy is an absolute right of every resident and an essential aspect in the safeguarding of each individual’s personal dignity. In the home all residents are treated with sensitivity, respect and thoughtfulness at all times. Anyone entering a resident’s room will always knock before entering and residents are all treated as individuals and addressed by their title or preferred name. At all times they are encouraged and supported to make personal choices, to enjoy their privacy and to have their own personal space. If private or personal issues arise with residents these are discussed in a private environment and residents are always treated in a proper and sensitive way when performing intimate care tasks. We encourage residents to make their room as much like home to them as possible. 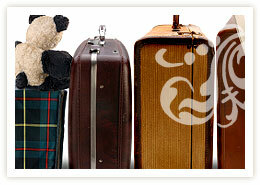 We encourage residents to bring in their possessions and to make their room as much like home to them as possible. The exact list of items brought in is recorded in the property book. Each resident receives a copy of their contract. Residents may bring small electrical appliances with them. To maintain the safety of all of our residents and to satisfy insurance requirements we do have to have these checked by a qualified electrician for safety. All portable electrical equipment in the home is subject to an annual certification test. A lockable cabinet is available in every bedroom for residents’ personal possessions and a safe is available in the main office where residents can store valuable items. A full record of money and valuables is maintained by the home for auditing purposes. Unfortunately the home cannot take responsibility for valuable items not deposited with us for safekeeping. We are very proud of the high quality of our food and dining facilities and we are able to offer food for a wide range of different tastes and diets. These include a range of therapeutic diets which are overseen by a visiting dietician and nutritional assessment. Meals are ordered from a varied menu which includes at least three choices for every meal. 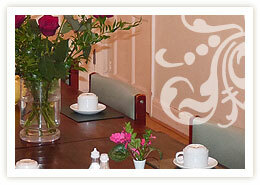 Residents may enjoy meals in our homely dining room. Breakfast is served with a choice of either room service or in the dining room. Lunch always offers a choice of meat, fish and vegetarian dishes with a choice of fresh vegetables and dessert. Hot Suppers, along with desserts, are provided and hot or cold drinks served at regular intervals throughout the day and evening. All of our care staff are trained in respecting the dignity of residents at all times and are happy to help residents with their meals which they do with tact and sensitivity. Because of this we are able to consider potential residents who need to be encouraged or helped to eat. Friends and relatives are always welcome to stay for a meal if they wish. Our home has an open visiting policy whereby residents are able to welcome visitors into their own rooms, into the sun -lounge or patio area as they wish at any time with a cup of tea. The home openly encourages family and friends to visit their relatives and loved ones as often as possible. The home has weekly visits from a hairdresser and residents may make an appointment in the main office. 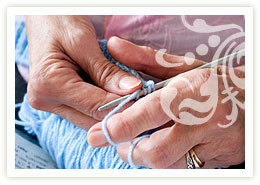 Charges for this service are not included within the care home fees. If a resident has their own hairdresser they are welcome to arrange for them to do their hair in the privacy of their own room at any time. The home has an activities coordinator who ensures that a wide range of entertainment and therapeutic activities are provided. Our philosophy is that anyone can join in and that nobody should be excluded. However, at the same time nobody is forced to join in. During the day our activities include music and movement classes, keep fit classes, musical entertainment, quizzes and games. 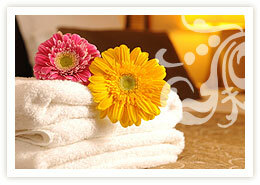 We also have occasional sessions of reflexology and aromatherapy. Time is arranged when staff can spend time interacting with the residents and we have a number of therapeutic activities and groups that residents can join if they wish. Every year we arrange three holidays, for our residents to enjoy some time away. The home has access to a minibus and organises regular trips out. As we are only a few minutes from the beautiful beaches of Brighton and Hove, we regularly arrange trips to the seafront. What’s more, every year we arrange three holidays, in the UK and abroad, for our residents to enjoy some time away, should they wish.